Netflix Has a New Plan for Europe – Is the U.S. Next? Customers in some European countries are seeing a new option on Netflix's website: a new “Ultra” plan that would offer HDR support in addition to 4K UHD resolution. 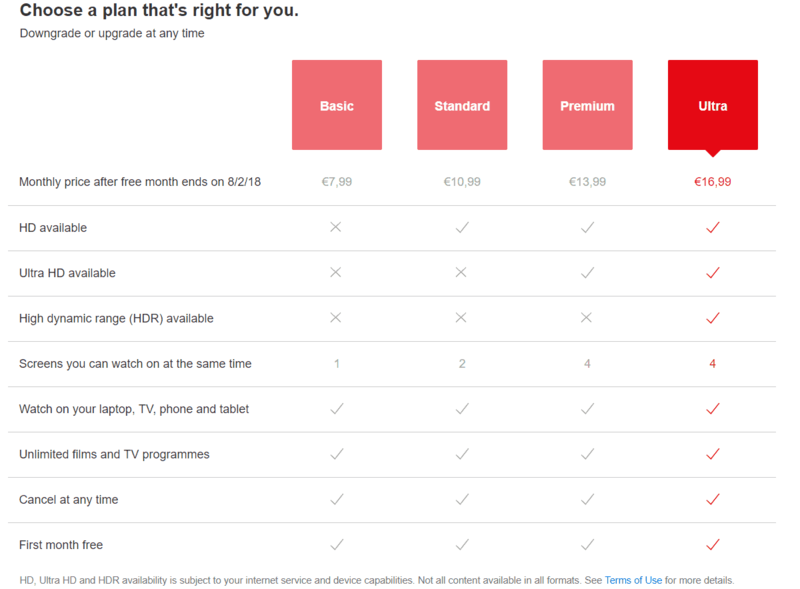 That may sound exciting, but there's a downside: other plans might be losing screens, making this new pricing structure a sort of price hike in disguise. Users have reported this change in Italy, and Cordcutting.com found the change in other European countries, including Germany. 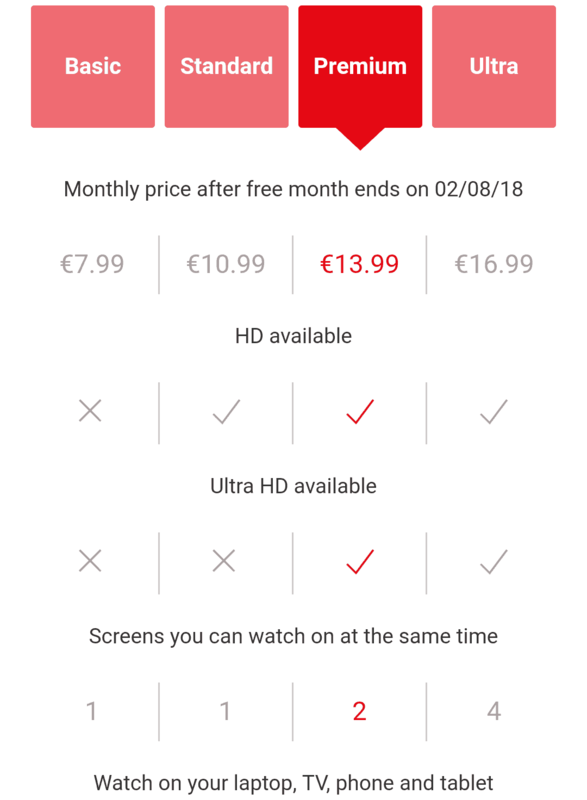 The rollout seems to be ongoing – earlier today, Netflix's German site showed different prices (€16.99 vs. €19.99) depending on which browser was being used. Another inconsistency might be more concerning to Netflix fans: while the desktop versions of Netflix's European sites show unchanged Standard and Premium plans, mobile browsers show that Standard has been stripped of one of its two simultaneous streams, while Premium has lost two. That would amount to an indirect price hike, as former Standard and Premium subscribers might migrate to higher price tiers. There's no word yet from Netflix on these changes, nor has the company revealed whether or not similar steps would be taken in the United States. The two images contradict each other. Top says 1-2-2-4 streams per account, bottom says 1-1-2-4 streams per account. Which is it? They do! Apparently, Netflix is testing a couple of combinations.